Ulrik Linnemann has confirmed he will participate in a full season of RallyX Nordic presented by Cooper Tires, becoming the latest high-profile driver to commit to the Supercar class. The Dane made a spectacular RallyX Nordic debut in 2018 after causing a major upset by beating the series regulars to claim victory on home soil in Nysum at the wheel of his Volkswagen Polo. He returned at the season finale in Tierp, this time at the wheel of an Olsbergs MSE-prepared Honda Civic, and immediately proceeded to post impressive times. Following a winter of development alongside the leading Swedish team, Linnemann has now opted to use the car for a full RallyX Nordic title tilt. 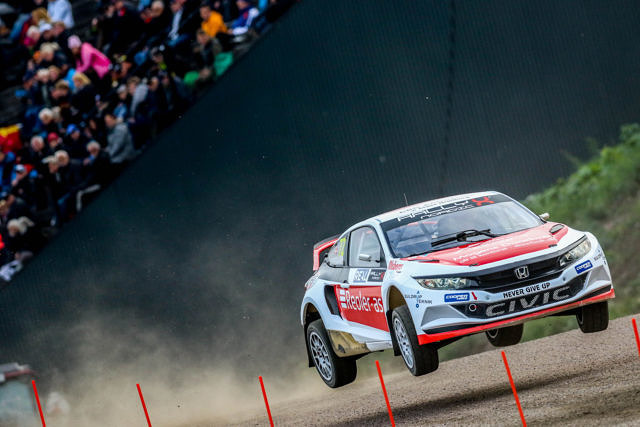 As well as his superb RallyX Nordic showing, Linnemann enjoyed a successful first season of Supercar competition in the European Rallycross Championship, classified sixth overall, while he is a former European S1600 runner-up.